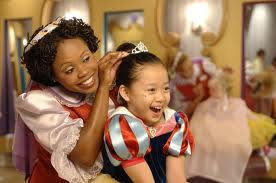 Bibbidi Bobbidi Boutique is a salon where little girls can get a princess makeover by a “Fairy Godmother in Training”. It is something I would like to do myself! But since makeovers are limited to guests aged 3-12, I was out of luck. The next best thing was to see my 9-year-old daughter have her magical moment. But before I made promises I couldn’t keep, I had to check the pricing. 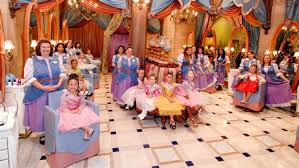 I hate to say no to my kids in the place where dreams come true. But I had to be realistic too. 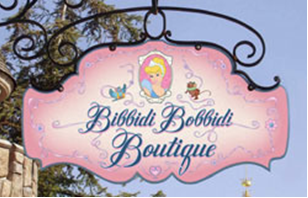 According to Disney’s website, packages at the Bibbidi Bobbidi Boutique range from $54.95 to $189.95. And my daughter had visions of grandeur. She wanted the Castle Package which included the princess gown. So in other words, the most expensive one. How could her dreams come true without breaking the bank? And then it came to me! Her dreams could come true… and she could learn something valuable at the same time! I explained that if she could save up the money herself, we would make the reservations. I would start her off with $10 and if she saved the money her grandparents gave her for special occasions, she would be off to a great start. Whatever she had saved by the time we went to Disney would determine the package she would be able to purchase. Not to be outdone, her 6-year-old brother decided that he wanted to save up for a big experience too. He started saving before he even knew what he wanted to do. We spent lots of time exploring options: Pirates and Pals Fireworks Voyage? The Pirates League? Wild Africa Trek? None of them seemed to be “the one”. Then he heard about parasailing. I knew parasailing was offered at Disney’s Contemporary Resort, and in fact it is on my Bucket List! But the thought of my 6-year-old taking flight made my heart stop. But he REALLY wanted to do it. When I got more info I realized he would need to ride tandem with a parent. So then I got super excited! Of course he picked his dad to go with him. But with that choice decided, the saving really picked up. To make sure the kids didn’t spend their Disney money on a whim, we went to the Disney Store and had them each pick out a Disney Gift Card. Then we talked about other ways they could earn money and made a list. Whenever they earned/received any cash they would ask to go to the Disney Store to charge their cards. Maybe it was an excuse to go to one of their favorite places (with me as their mother, they never really need an excuse!). But they enjoyed seeing their gift card totals go up. They had so much fun dreaming up ways to earn more money for their gift cards, they suggested that we get one for their little brother. He just turned 2, and on his birthday my daughter gave him $1 for his gift card. We leave in just a few weeks. And guess what? They have earned enough for their experiences and then some! So in addition to their makeover and parasailing, they have their spending money all set aside on their Disney gift card. 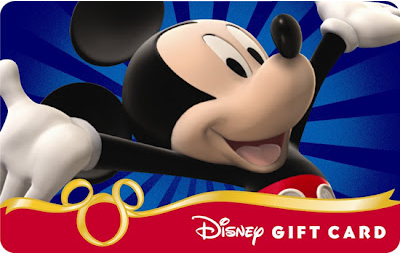 Our Disney Gift Card system has really helped add magic to our 2012 trip itinerary and it will become a vacation tradition in our family from here on out. In fact, I have one now too! I’ll let you now on our next trip what I decided to save for! 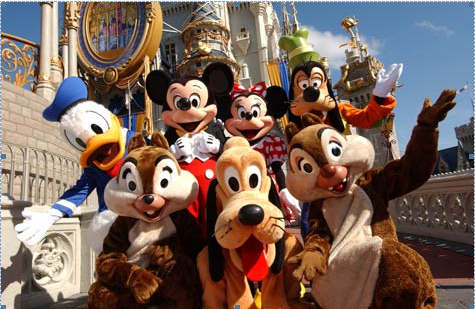 Visit www.mickeytravels.com for all you Disney Vacation Planning tips and our FREE vacation planning services! Making Magic One Vacation at a Time.. 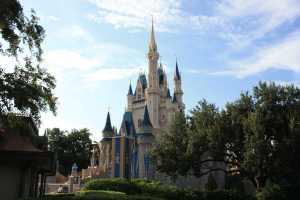 Thanks to Devene Godau, our MickeyTravels guest blogger!